The expeditious growth of storage capabilities in the business arena has questioned the ability for quick searching an information and so it is with Microsoft Outlook, the most preferred emailing client in business enterprises. It is expected to locate a message, contact name, or even an appointment quickly among the large accumulation of data stored on the hard drive. The instant search capabilities of Outlook are pretty awesome. However, it has been noticed by users that sometimes instant search is not finding items in Outlook and the Outlook search returns nothing as results. In some cases, it responds by displaying data before a certain date or show items left to index. In such cases, what usually users do is that they leave it for getting indexed overnight. However, to their dismay nothing seems to change the problem. Here, the users look for solutions that will help them to index all their messages present in Outlook completely. Before moving out to solutions that would resolve the problem, we need to understand how this instant search feature of Outlook works. How Does The Instant Search In Outlook Work? The main entity that is responsible for Outlook searching abilities is that it works comprehensively with Windows Search. In order to meet the requirements of significant search, indexing capabilities were provided with Windows Vista. These capabilities were further improved with Windows 7, the main motive behind it was to create a better search experience for users. All the emails saved on the computer are indexed to enable faster searching of items. Nevertheless, as we know that sometimes user face problems like Outlook indexing is not working, we need to know the reasons for the existence of such errors. What Are the Causes for Instant Search in Outlook Not Working? Knowing the possible causes for Outlook instant search not working, we can proceed further to resolve the issues. Make sure that the PST file is selected. 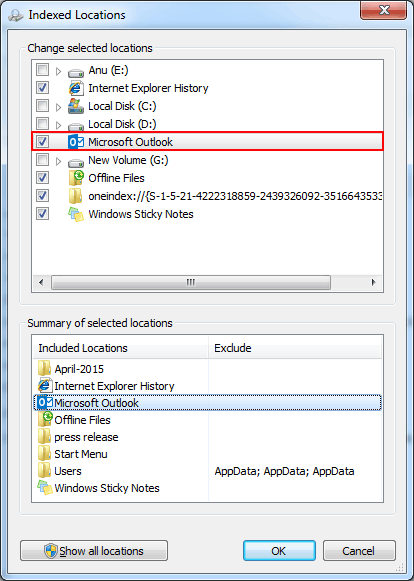 If it is not listed, then the user has to create the Outlook mail profile again. Ensure that Outlook is selected over here. 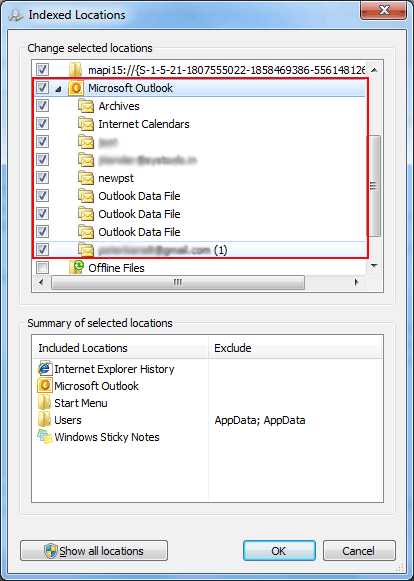 In case of Outlook 2013, a user cannot mention the PST files which have to be indexed. Note: If the problem related to indexing is caused due to the reasons other than the corruption of PST file then the above mentioned solution is applicable. If the PST file has been marked for indexing, but still the instant search of Outlook is not showing up results, then it indicates that there is corruption within the PST file. For fixing up corruption related issues, one can use the Scanpst.exe tool that repairs the header of the corrupted PST file. 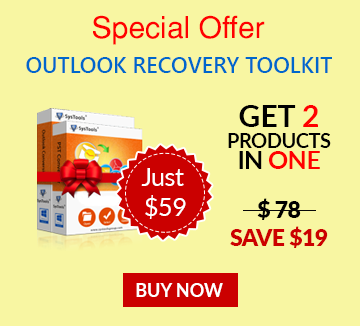 Here, you can use another utility known as Outlook PST file Repair Tool that brings up a competent way of recovering Corrupted PST items.